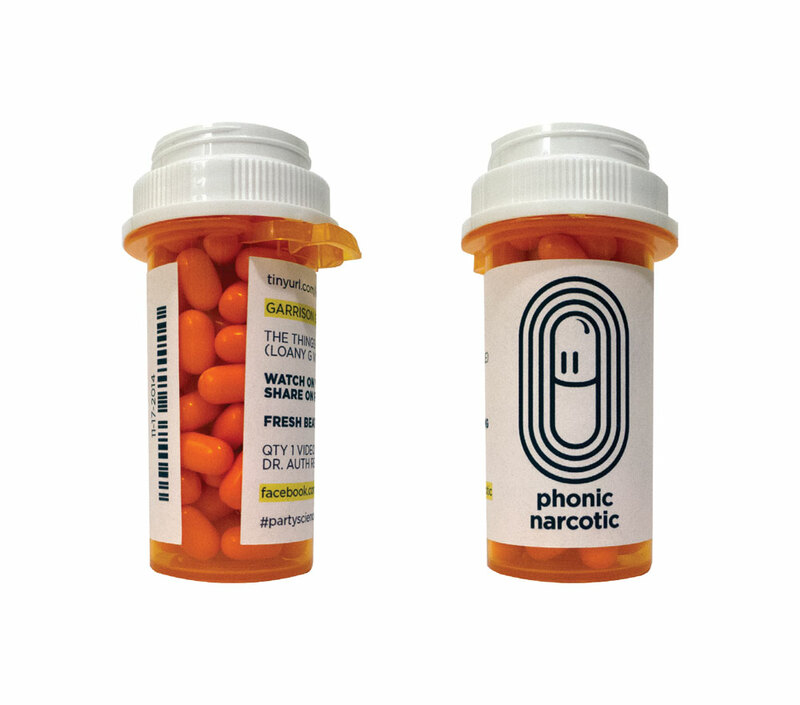 Phonic Narcotic was conceived by a few friends who were in need of a moniker that they could use when uploading recorded mixes to youtube. 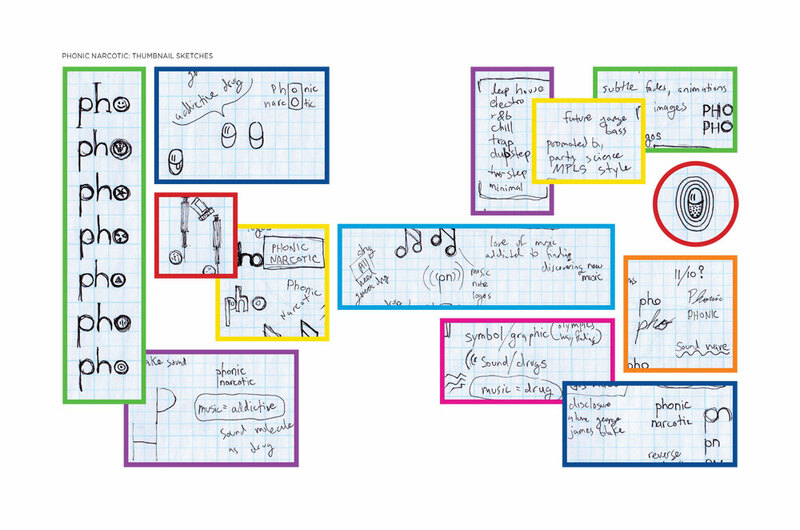 These musicians have also used the brand when performing weekly DJ sets at the club. The idea behind the name is simply that the pursuit of discovering new music can oftentimes be addictive, especially when one discovers a new and exciting sound. It is with the Phonic Narcotic brand that these musicians were hoping to help others on their pursuit of discovering new music. The mark represents a pill with sound waves emanating from it. The sounds waves ripple outward and then dissipate into the ether, just as the surface of a lake would behave when disturbed by a stone.